Coimbatore : To mark the birth centenary of late Marshal of Indian Air Force Arjan Singh, the Air Force Administrative College here is oganising a Half Marathon for Air Force Personnel on April 14. The marathon will be flagged off by Air Commodore S R Menon, Commandant Air Force Administrative College, an official release said today. The IAF is conducting various events pan India and approximately 10,000 Air warriors will participate in the half marathon simultaneously being conducted at 100 different Air Force stations, it said. Arjan Singh, Distinguished Flying Cross, was born on May 15 1919 at Lyallpur, educated at Montgomery (UK) and later at Government College Lahore. 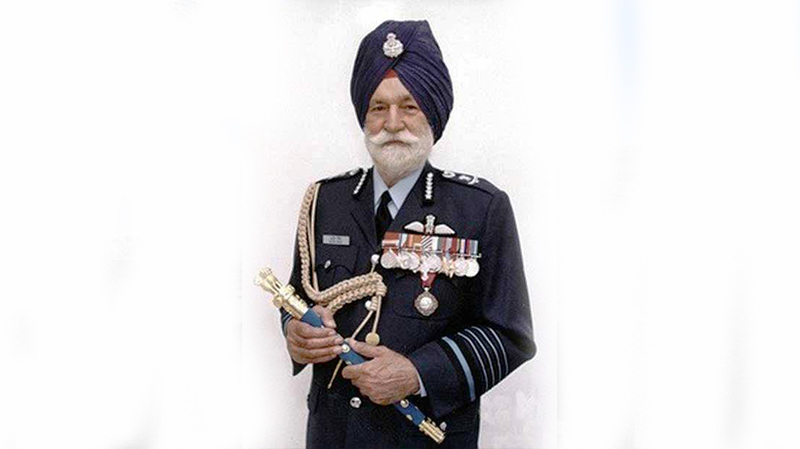 He got commissioned as a pilot in Royal Indian Air Force in December 1939 and was awarded Distinguished Flying Cross (DFC) in 1944 for his outstanding leadership in the Burma Campaign during World War-II. He was appointed as the Chief of the Air Staff in July 1964 and was promoted to the rank of Air Chief Marshal in December 1965. The Air Marshal had visited the College here as Vice Chief of Indian Air Force in 1963 and as Chief of the Air Staff in 1964 and 1969.